Despite drizzle predictions, the weather today was fantastic! 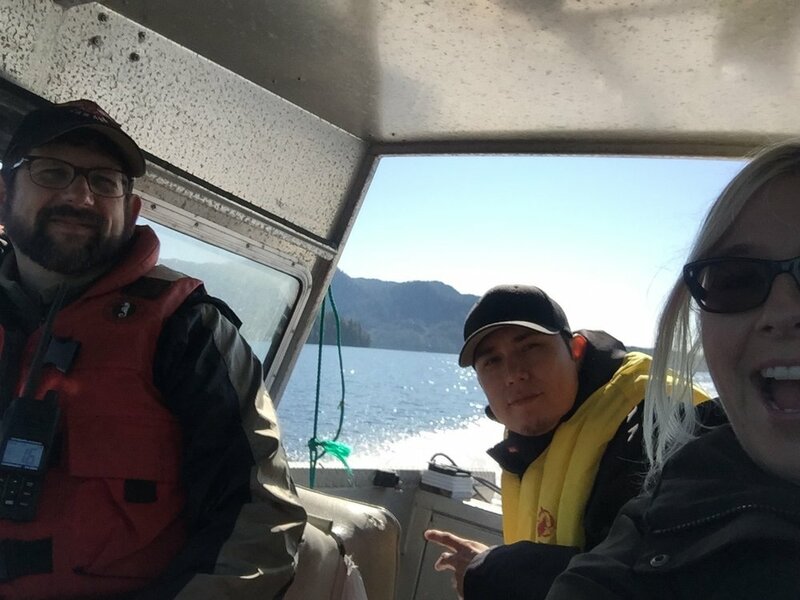 We were so kindly invited by Tom (the Art Teacher) on a boat trip to see a little bit of the Heiltsuk Territory. 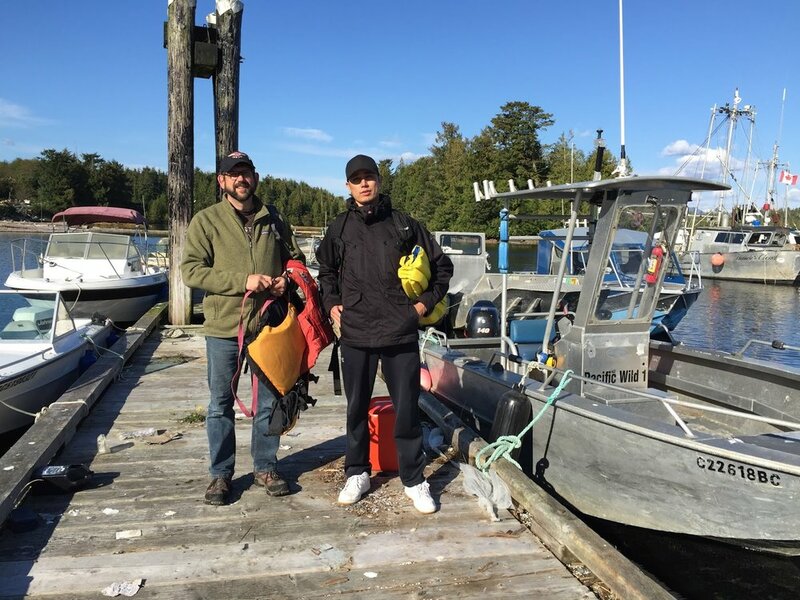 The Heiltsuk continue to protect their territory. 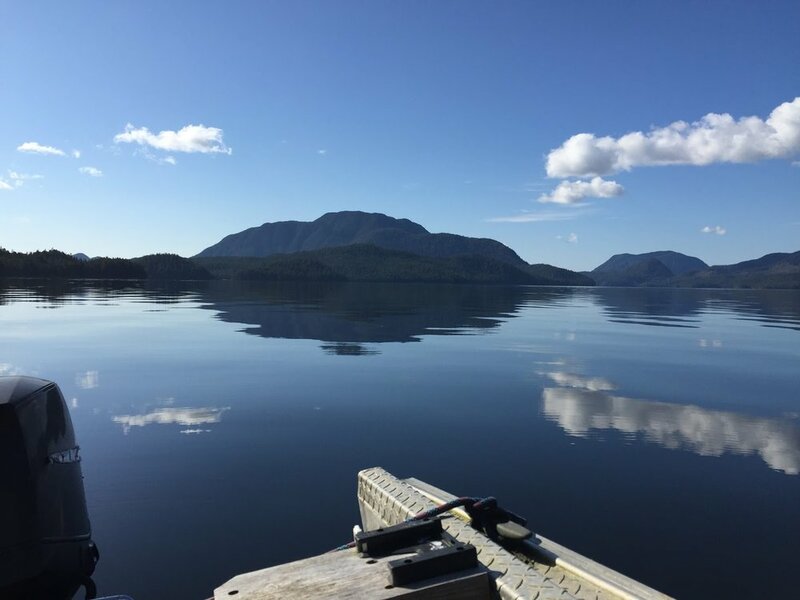 Last year there was a celebration about the Declaration of Right and Title, there is a committed and steadfast 'NO' to Enbridge and the Northern Gateway Pipeline, and during the Royal Visit the Great Bear Rainforest was highlighted as an integral part of the territory to continue to protect. Check out The Heiltsuk Nation for more info. We left Campbell Island from Martin's Marina and visited first a grave island and then Denny Island. From Denny Island Tom took us to some beautiful locations mostly north and north east of Campbell Island. 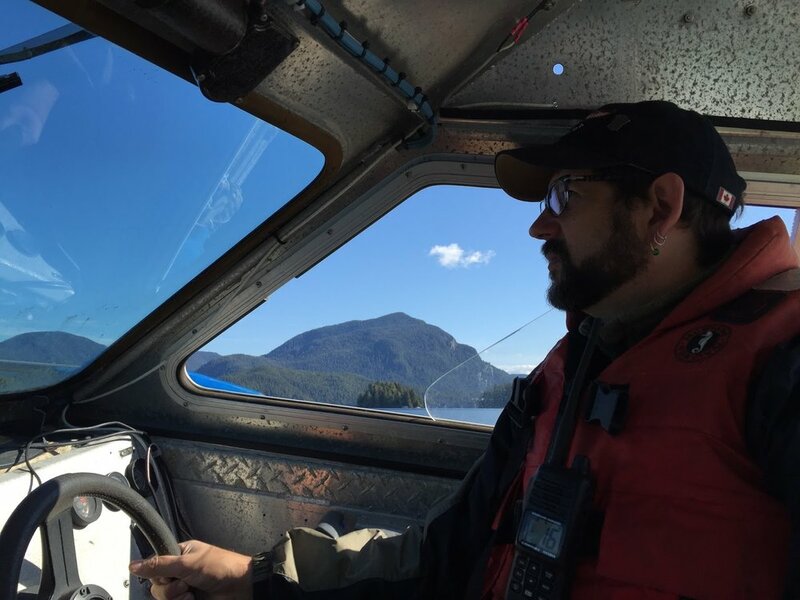 We went around Rainbow Island, through Rosco Pass where we saw the petroglyphs and into Deer Narrows (called Troup passage on the map) and and had lunch near there. To be able to see at least part of this vast and beautiful territory felt like an honour. Thanks Tom for the tour!